Are you wondering what gear to bring to your first wedding shoot? As a new wedding photographer, you’ll need a checklist of essential gear to bring with you on your shoot so you don’t forget anything. In this article, we will share 6 essentials every wedding photographer needs in their camera bag. If you have just started as a photographer, then you’ll need to invest in some basic, professional gear. 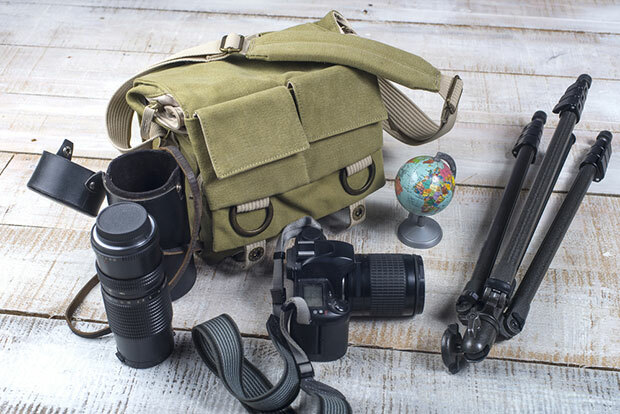 To figure out how much you’ll need to budget for gear, check out our guide on how much it costs to start a photography business. The first thing you need to keep in your camera bag is a professional camera. While you don’t need the most expensive camera, it is important that you invest in a proper DSLR so that you make a good impression with your clients. Make sure to test out your camera and familiarize yourself with all the settings before going to the wedding. Optionally, you can also carry a second, backup camera. Just in case your primary camera fails, then you’ll have a second option to save you from any situation. You can use a less expensive point-and-shoot as your backup. 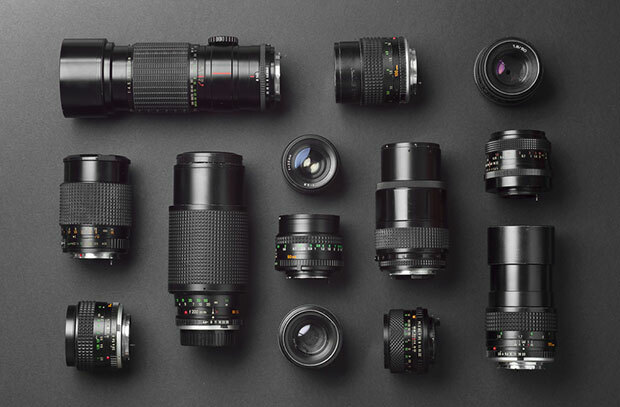 After the camera, the second most important item is having a variety of lenses to choose from. For weddings, you’ll need to carry a wide angle lens, a zoom lens, a portrait lens and any specialty lenses you think you’ll need or that fits with your personal style. For instance, you may want to bring a fisheye lens if you know that you will be in a beautiful church, or a tight spot. For close up shots of small details on the wedding dress, bouquet, or shoes, you may opt for a macro lens. You’ll probably also want to bring a prime lens with a large aperture to get a really nice bokeh effect. 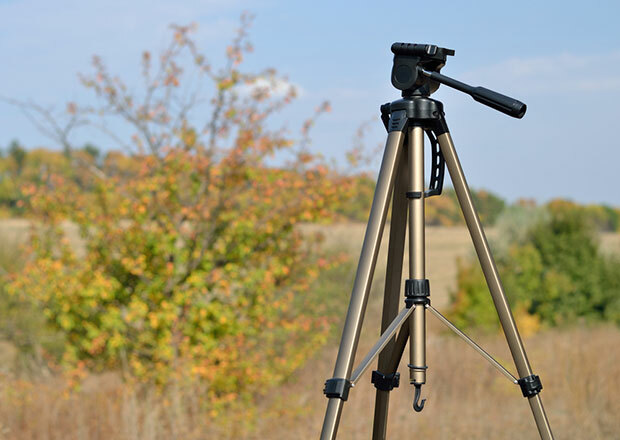 A tripod will come in handy for the ceremony, especially if you’re working with low light and you need to reduce camera shake as much as possible. You may also want to pack a monopod or selfie stick to use for getting overhead shots or difficult angles at the wedding venue. 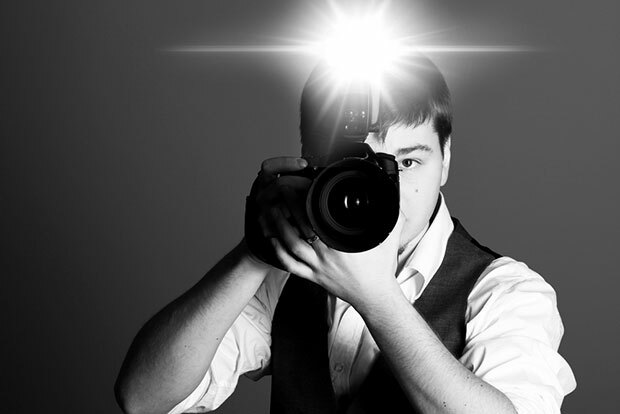 Lighting is arguably the most important element for shooting beautiful wedding photos. In case you don’t have enough (in a dark hall, for example, or at the reception), make sure to pack a flash. If you need help with lighting, check out our guide on everything you need to know about photography lighting. For weddings, you should be prepared to shoot for several hours. You can expect to go through a few batteries, so this is one item you can’t afford to overlook. 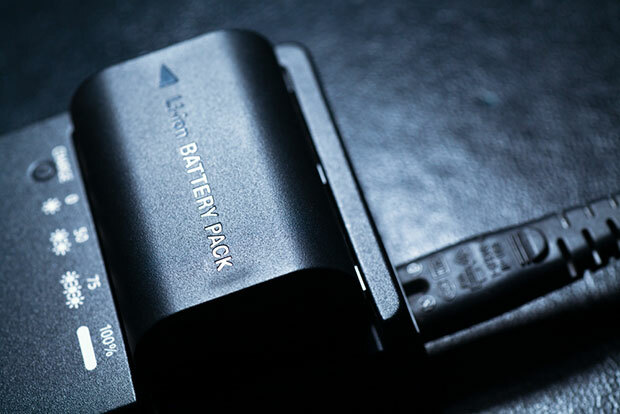 Make sure to carry several fully charged batteries with you in your bag so you can change them out quickly as needed. 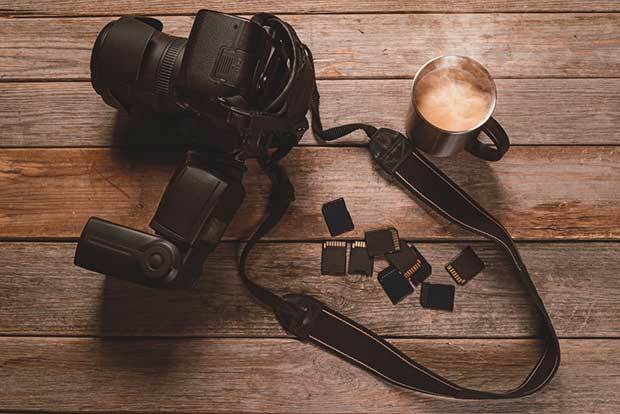 Always carry extra memory cards with you. In the span of a few hours, you’ll likely take thousands of shots, so come prepared with as many blank memory cards as you can. Now that we’ve covered the essential gear you need in your camera bag for wedding photography, let’s talk about the bag itself. For wedding photography, you’ll find that an ordinary bag isn’t going to cut it and you’ll need to invest in a proper camera bag. This is a very personal choice, and you should pick the case that suits you best. Just make sure your chosen bag has defined areas for each of your gear so it’s convenient when you need it. We hope this article has helped you to find 6 essentials every wedding photographer needs in their camera bag. 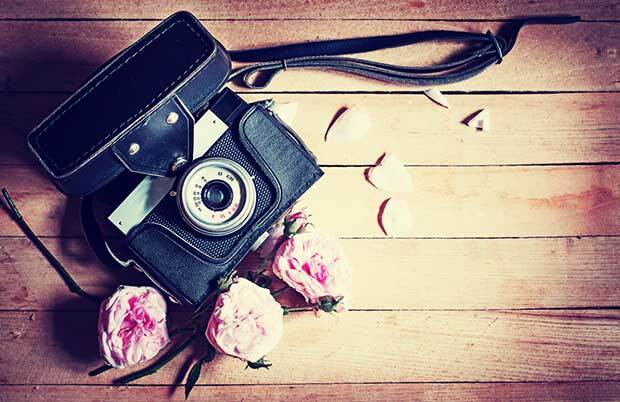 You may also want to check out our guide on how to market your photography business. If you like this article, then please follow us on Facebook and Twitter for more free photography tips and tutorials. When Should a Wedding Photographer Arrive at the Ceremony? What Are the Best Camera Settings for Wedding Photography?